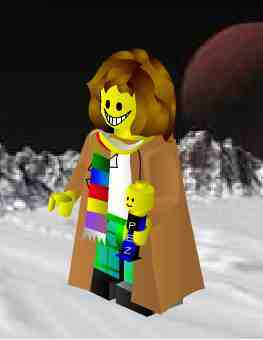 The Doctor (Tom Baker style)... sort of... as a Lego minifig, made with the ReasonablyClever.com mini-mizer! 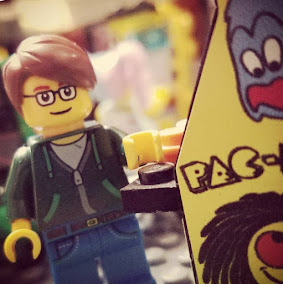 Okay, you have to use some imagination here, and it helps if you pretend the Pez dispenser is either the sonic screwdriver or a bag of jelly babies (mmm... jelly babies), but jeez, work with me, people! See you on the other side of a new decade.